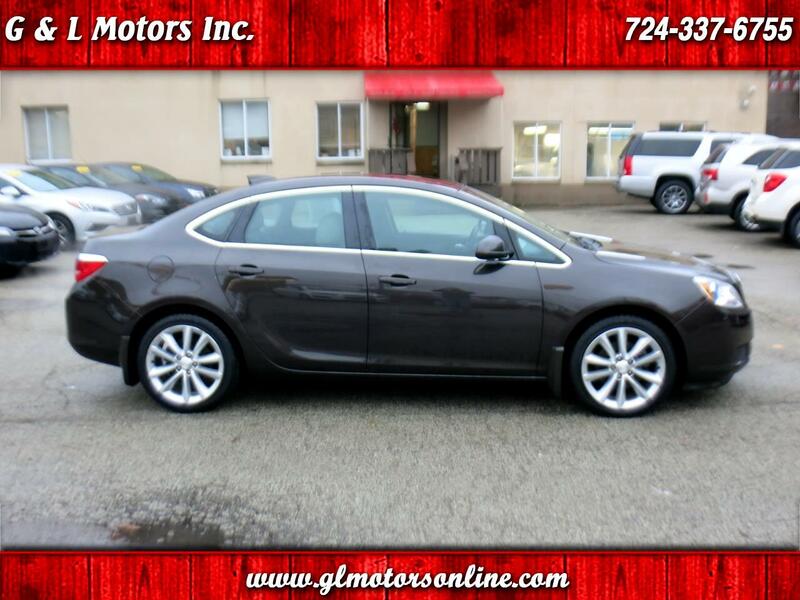 Used 2015 Buick Verano Base for Sale in Pittsburgh New Kensington PA 15068 G & L Motors Inc.
(28) Photos Apply Online Text Us About This Vehicle! 2015 Buick Verano with under 35,000 miles, great lookin' Mocha Bronze exterior, **Factory Remote Start**, 18" alloy wheels, bluetooth, power drivers seat, **Heated Front Seats**, dual climate control, Aux and USB ports, OnStar, **Backup Camera**, steering wheel controls, **1 Owner History** with balance of basic and powertrain warranties. We offer competitive financing for everyone with some of the lowest rates in town, for qualified credit and payments lower than you might think. Call (724) 337-6755 or online at sales@glmotorsonline.com for questions or to schedule your test drive today! !